KEYNOTE 1 - RARE END UNIT! 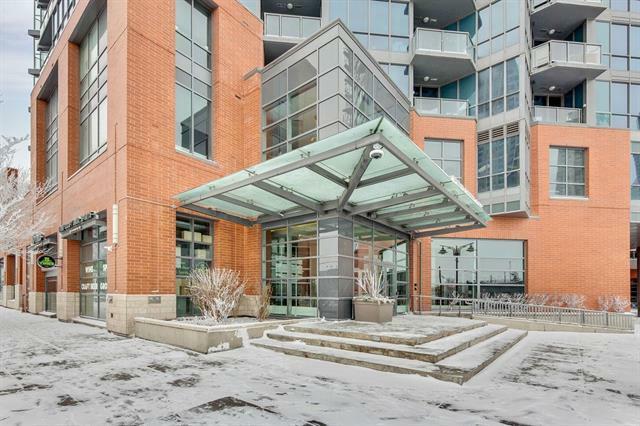 This beautiful executive condo is located in the heart of the Beltline/Victoria Park. Walk to Stampede Park! Fantastic Mountain and City views from every room! 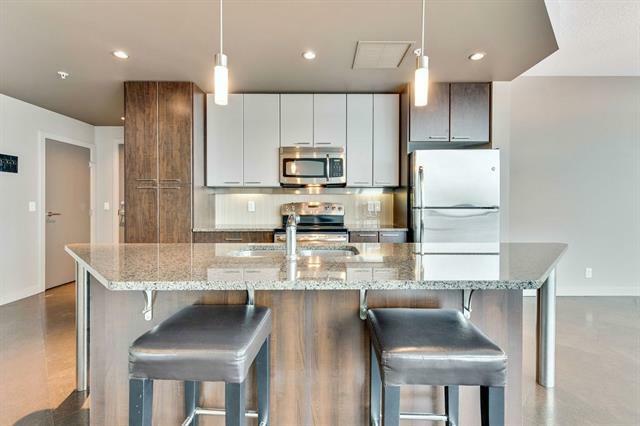 LARGE 2 Bed 2 Bath corner unit offers beautiful cork flooring, stylish kitchen with two tone cabinetry, stainless steel appliances, granite counter tops throughout and large island. Generous dining area and main living room giving you spectacular views day or night from the floor to ceiling windows. 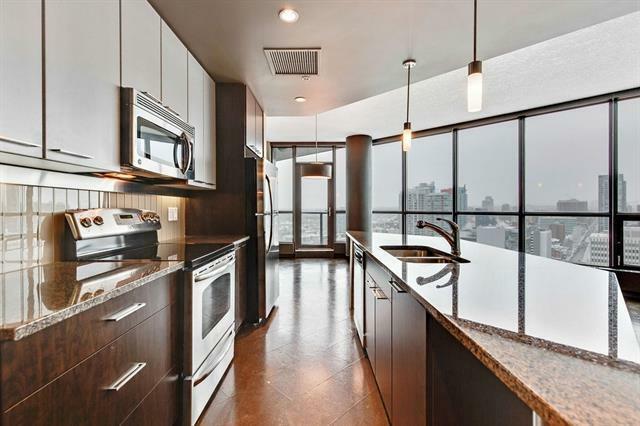 Both bedrooms give you the same floor to ceiling windows, the light in this condo is amazing. The master bedroom has a walk in closet and 4pc ensuite bathroom. There is 3 pc main bathroom and great size second bedroom. There is also the convenient in-suite laundry. Included is a titled OVERSIZED underground parking stall and titled storage. Cancel your gym membership as Keynote 1 offers a fabulous gym, jacuzzi, rec room with pool table. 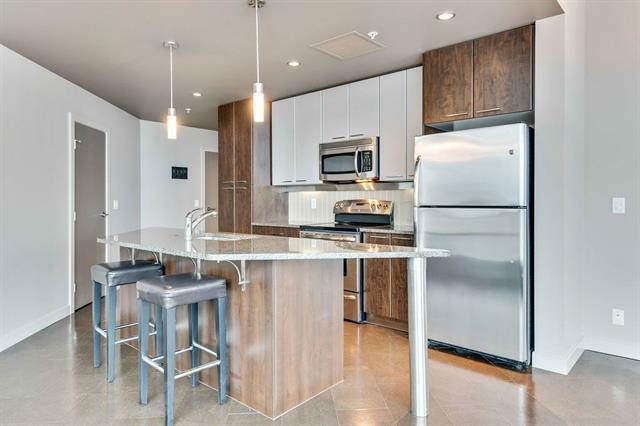 Direct access to Sunterra Market, rooftop patio. This condo is one you don't want to miss!